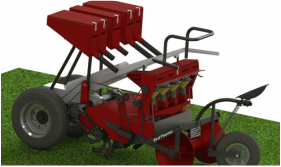 Design for Sustainability (DfS) is an emerging and significant domain. It is also one of the prime needs of the hour considering the burden of human consumption and production. In order to create sustainable human consumption and production, a complete revamp of the consumption structure is needed. Through the SSI Lab, the Department of Design at IIT Guwahati, aims to foray into this domain. We successfully completed the project on understanding the life and work of the washermen community in Guwahati. We joined the Learning network in Sustainability International, an Erasmus+ funded project. A project initiated under Design Innovation Center at DoD, IIT Guwahati. Our BDes student Muskan Gupta alongwith IIITDM Jabalpur BDes students Tanishqa Bobde & Karttikeya Singh won an Honorable mention award in the LeNS International Student Design Competition, 2018. Our Research Scholar, Prarthana Majumdar, bagged the best paper award at ICoRD 2019 for her paper titled: Motivation for Do-It-Yourself in Rural Base of the Pyramid Communities and the Changing Landscape. 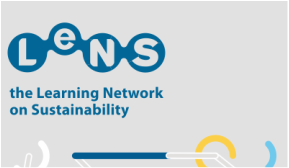 3rd - 5th April 2019 Conference is organised as part of the LeNSin, the International Learning Network of networks on Sustainability project (2015-2019).